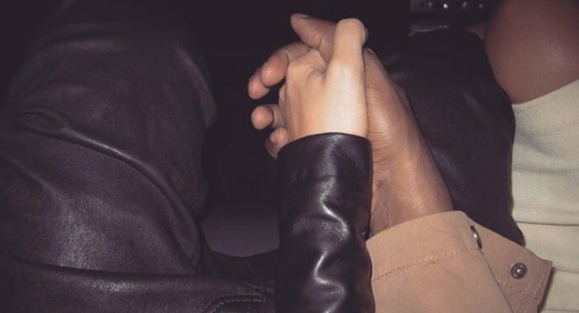 Kim & Kanye clasp hands en route to Saint's delivery. Saint West's first days home with Mommy and Daddy have actually been at Grandma Kris Jenner's home, according to a new report by People magazine. Kim and Kanye are "temporarily staying" with Kris in Calabasas and are "managing to get some sleep" as they tend to their one-week-old son, Saint. 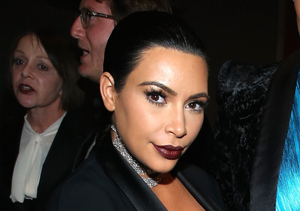 A source tells People, "Kim has a baby nurse for an extra set of hands, but she's obviously very involved. She's up and about, but of course feeling exhausted at the same time." The same source stresses that Kanye was "really supportive" during Saint's birth, and says Kanye always treats Kim "like a queen. She's his queen. Having Saint hasn't changed that." So far, no one outside the family has caught a glimpse of Saint, who is said to resemble big sis North, 2. Kris Jenner has said of her new grandson, "He's definitely a saint. It's perfect." 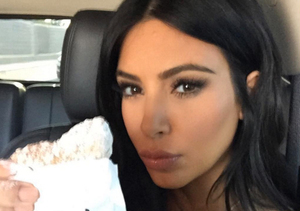 Kim K's Biggest Baby Bump Yet!